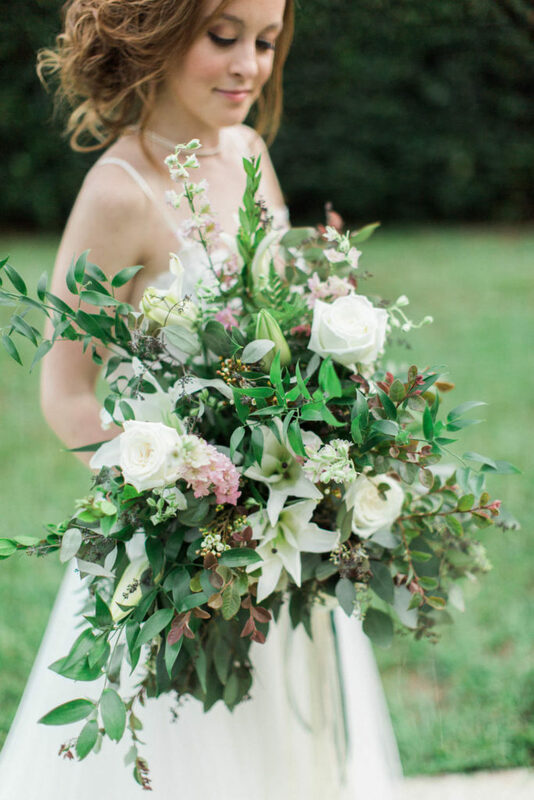 I designed this bouquet for a garden themed inspirational styled shoot that took place at a lovely venue so close to home. I really enjoy designing weddings for this venue. It has such a historical estate home on property along with a gorgeous lake view and a drop dead gorgeous ceremony site which can actually double as a reception site like we did for this shoot. This shoot was published in print in @thesoutheasternbride first magazine. Then on Tuesday, it was featured on their blog!! 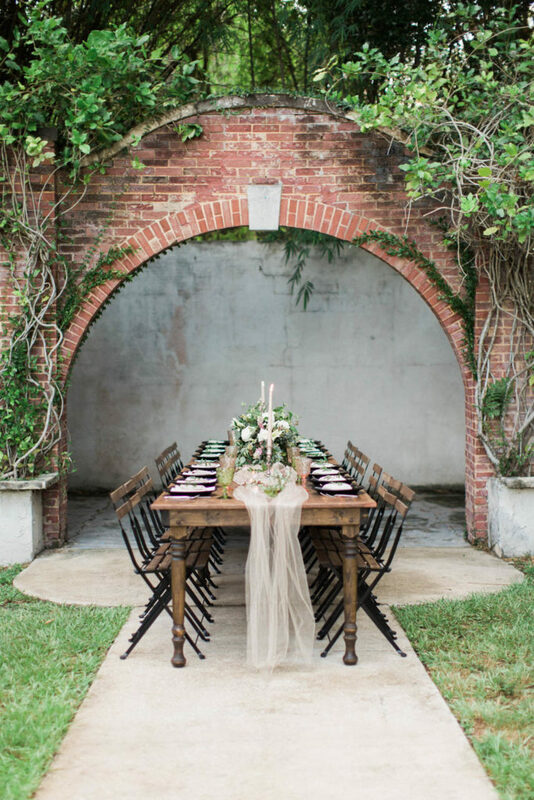 That time when you turned the site that’s typically used as the ceremony site as the head table and reception site…this gorgeous brick made for a killer backdrop! A closer look… enjoy a different view. 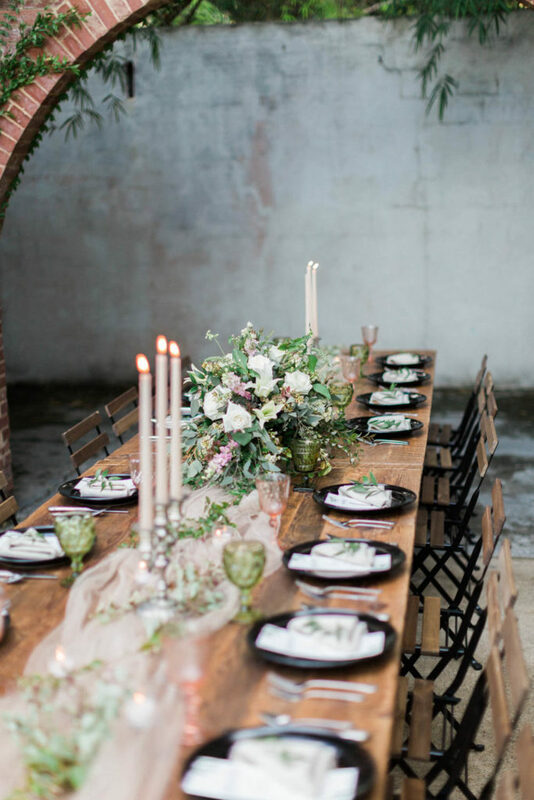 Don’t you wish our dinner tables should look like this every night? Not at this chapter in my life is this a reality but I wouldn’t change my crazy busy mom, wife, and business owner life for anything!! 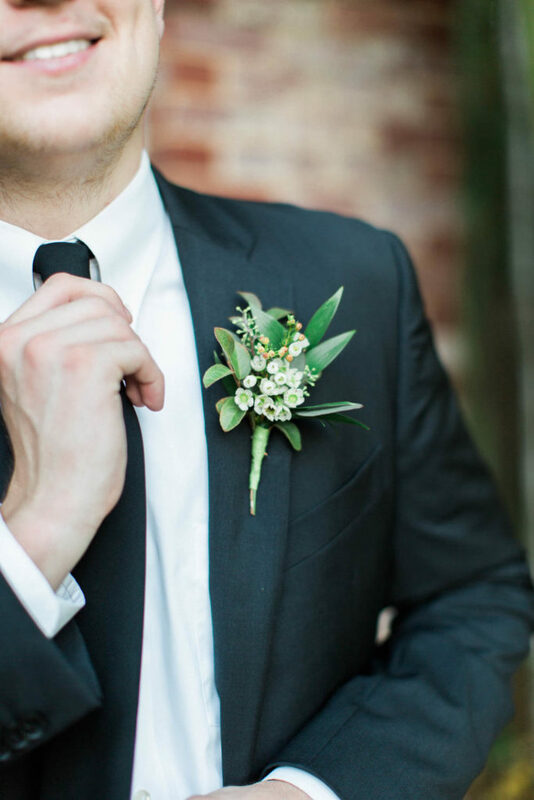 The perfect boutonnière makes for a great accessory to any groom. 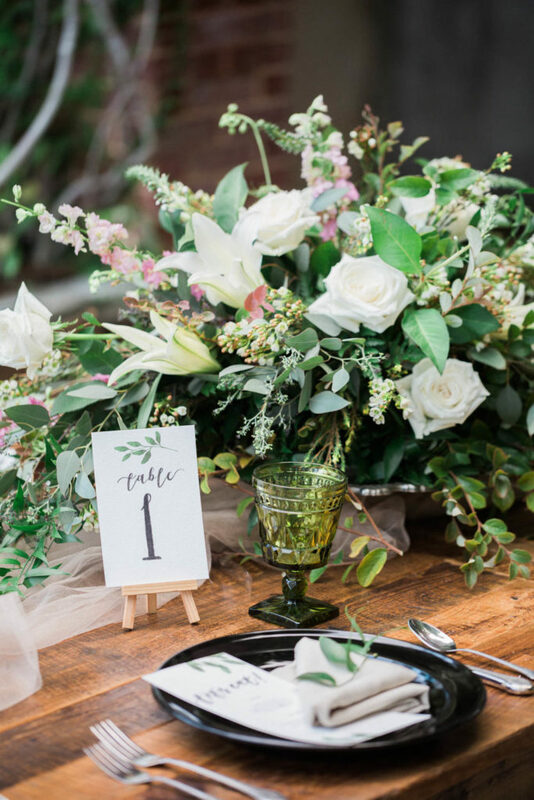 This one was designed to compliment the bride’s bouquet from our styled shoot with a garden theme. The possibilities are endless when it comes to stem wraps on bouquets. I have done so many different options, from gingham to seersucker, from doilies to lace from grandmother’s wedding dress. I have incorporated a wheel of color…to lace or burlap. Different textures of fabric also can make for a fun stem wrap from velvet to silk….the list goes on!